A comment read this morning sent my mind off on the subject of alternate realities (Yeah, it’s a writer thing). The multiverse vs. the universe is the idea of parallel existences instead of just one. Many keen experts in quantum physics feel there’s enough information out there to believe such a thing is true, including the esteemed Dr. Stephen Hawking. So how does something like this work out on paper? When we come to that fork in the road and must make a decision to go left or right, in these parallel worlds, another choice is made and the outcome of that choice is completely different than ours. So imagine our world never had the terrorist attack on the World Trade Center on September 11th. How many sons and daughters would still be alive had no war followed? Would some lunatic fringe be beheading people and posting on social media today? Going with the multiverse concept, on other earths, in other realities, it never occurred. In some odd way I find comfort in that. How many single acts completely changed the world in the last 2500 years? I’m not referring to embracing spirituality here when I say, in my opinion, one of the larger impacts was the advent of organized religion. This double-edged sword has done both great good and great harm to the world. Still does. Ocean travel is another. Coupled with organized religion, it led to conquest and subsequent annihilation of complex societies who didn’t ascribe to the same doctrine. It also brought us slavery, species extinctions, and plagues. How many times in the last 100 years alone have single acts changed the course of humanity? The reparations Germany was forced to make after losing WWI. On this side of history I see why it was done. But what this did was cause their economy to be so beaten down, it made possible the rise in power of a madman who gave the world WWII. Absolutely nothing was the same after that war. There are 40 entries to come. 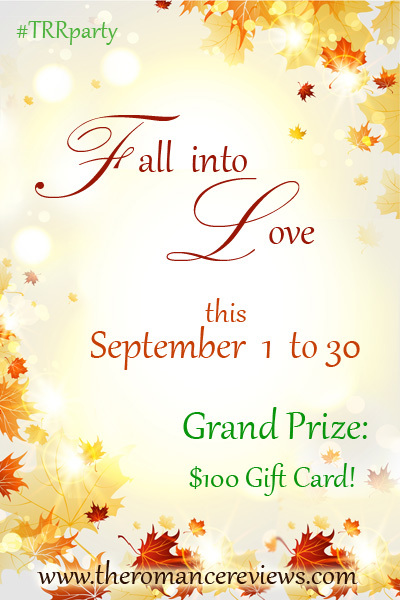 Romance Books ‘4’ Us ~ The September contest is winding down. Come play, there are more than 20 prizes! This entry was posted in Past Posts - you'll never know what you'll find and tagged Author Jean Hart Stewart, Fall into Romance, history, multiverse, Net Neutrality, quantum physics, Romance, Romance Books '4' Us, Rose Anderson, The Romance Reviews, universe. Bookmark the permalink. 7 Responses to What if…? Interesting and thought-provoking post, Rose. Love the idea of parallel universes – I mentioned the possibility in one of my tween books! Meant to say that here in Scotland, we’re facing one of the most momentous decisions in our history tomorrow. Which way is the referendum vote going to go – and how will it change everything! What’s the social climate on your side of the pond now that the referendum went the way it did? Love the idea of alternate worlds. Just finished a trilogy about an alternate ancient Egypt. First book is out and the others are to come. It’s an interesting concept, isn’t it? Thanks for stopping by today, Janet. Best luck on those books! I have a problem understanding dimensions beyond the three basic dimensions and time. I understand there are supposed to be at least eleven, but have never had it explained.